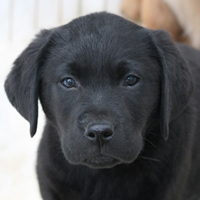 Click the image to put your name on the list for a trained puppy! The Golden Retriever is one of my favorite breeds because they make great all-around family pets. They are friendly, reliable and trustworthy. The typical golden gets along well with people and other animals. Standard males are 23-24” at the withers (shoulder) and weigh 65-75 lbs. Females are approximately 21–22” at the withers and weigh 55-65 lbs. 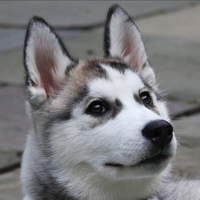 Depending on the puppy’s parents, you could be above or below these averages. 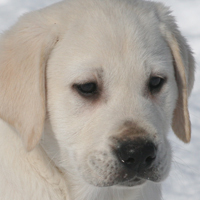 The Labrador Retriever is a strongly built, medium-sized, dog with a sound athletic build. 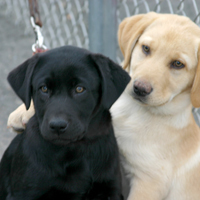 Much like the golden, a typical lab is friendly and outgoing with people and other animals. They are highly adaptable and respond very well to consistent training. 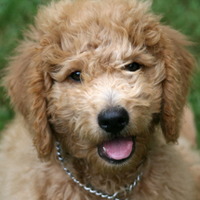 In 2011, labs were the most popular breed in the U.S.
A Goldendoodle is a Golden Retriever and Poodle cross. They have been bred in North America and Australia since the early to mid-1990’s. The poodle hybrids have been very successful as family pets in a large part because of their low shedding and perceived hypoallergenic qualities. Goldendoodles are very good family pets. 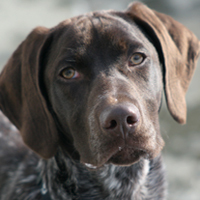 They are an intelligent and obedient family companion. 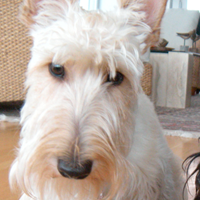 They are everybody’s friend, devoted to their family, friendly towards children, other dogs and pets. They are social dogs, happiest when with people. 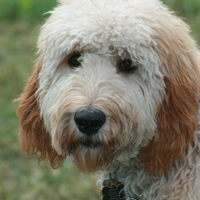 In my experience, the mini-doodles have been easier to train and housebreak than any other breed I’ve worked with.